What's The Source of Your Power According to Your Zodiac Sign? What’s The Source of Your Power According to Your Zodiac Sign? Each of us is developed slightly differently than the other. Each has different neural connections, different character, different energy, different pattern of memories, different collection of choices. Therefore, each of us has different unconscious advantages and disadvantages. 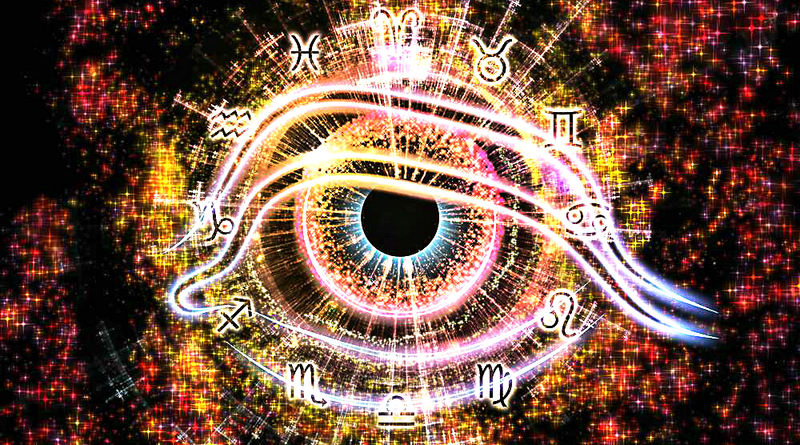 Your zodiac sign plays a big role in the way you develop energetically. Even though we all might be slightly different, your zodiac sign can reveal a lot about the source of your power and how to access it. All of us have inherent powers that we’ve already mastered unconsciously. But if you have no clue what your power is, your Zodiac will help you. You are the most powerful when you are forceful, truthful, provocative, active and progressive, aggressive, competitive, positive, confident, fun-loving and confrontational when the need arises. You feel the least powerful when you feel stagnant and unable to express your creativity, opposing others, failing to read emotions, a bit pushy, taking unlimited action and forgetting rest, burnt-out, emotionally vulnerable and fighting without a cause. Taurus is thriving and stable. You are the most powerful when you feel steady, intensely engaged in your passion, passionate, using your talents for abundance, feeling the strength of your mind, body, and spirit, feeling at home, and growing with life. You feel the least powerful when you are resisting change, obsessing with your possessions, failing to grasp every opportunity, overindulging, becoming lazy and too focused on your own ways. You are the most powerful when you feel mentally flexible, casting intelligent humor to liven up things, fully engaged with life, learning something, attending to your passions, gratifying your curiosity, delving into your many sides, giving time for rest, and being around with interesting people. You feel the least powerful when you’re deeply wounded, keeping with routines, being negative, getting easily bored even when your idea has not yet born fruit, acting sarcastic, not getting enough alone time, and not finding silence to relax your mind. Cancer stands for emotional strength. You are the most powerful when you are protecting the weak, seeing reality through emotions, using your imagination, feeling comfortable in a familiar place, creating a homey atmosphere regardless of where you are, connecting with your intuition, keeping memories, impressions, and intimate stories, and isolating yourself to prevent being hurt. You feel the least powerful when you’re always defending yourself, lashing out due to woundedness, being selective who to love, and failing to see beyond your problems. Leo is the energetic creative. You are most powerful when you’re expressing your exuberant personality, showing dignity and respectability, having a big heart, being generous, showing loyalty to friends, encouraging and leading others with confidence, doing interesting things to show gratefulness for life, having the exuberance of a child, and exploring the drama of life in the fields of arts, music, theater, and others. You feel the least powerful when you are unknowingly showing boastfulness, craving for attention, demanding special treatment, being inconsiderate of others, being resentful, and taking life more than it actually is. Virgo stands for devotion, healthy lifestyle, and self-improvement. You are most powerful when you are productive in working to achieve your goals, finding healing and transformation in your body, helping others which enriches you in return, analyzing the way things work, offering your perspective, and sharing your healing gifts. You are the least powerful when you humble yourself too much, not taking credit for your achievements, feeling dissatisfied with where you are, giving in to criticisms, worrying that things might go wrong, and being too focused on your bodily pains. Libra epitomizes beauty, art, and romanticism. You are most powerful when you feel you are creating a harmonizing influence, doing great in using other’s energy, creating equality, growing in a relationship, creating beauty, showing off your style, gracefulness, and elegance, fighting for justice, restoring balance, and acting as a peacemaker. You feel the least powerful when you feel others want you to be the person you’re not, being scared of action, trying to avoid confrontation even when necessity calls for it, averting to see the dark, and failing to execute your brilliant ideas. Scorpio symbolizes sexuality, accomplishments, and shadows. You are most powerful when you are exploring the psyche and all its shadows, regulating effective medicines, engaging in worthy activities, being aware of your healing and transformative powers, being patient while waiting, and going the extra mile of feeling other’s darkness for soulful healing. You feel the least powerful when you are feeling the emotional burdens of life, getting stuck in the end of things and having difficulty in moving on from a destruction, not expressing yourself for the fear of losing control, and being manipulative or psychically intrusive. You feel the most powerful when you are exploring the things that bring you fascination, planning things out, coming in and out of your friends’ life, sharing your positivism, being joyful and friendly, testing what you can and can’t do, experimenting with your creativity, knitting ideas, and sharing your life philosophy. You are the least powerful when you feel trapped in a work that brings no value, and being intolerant of others. Capricorn stands for tradition, perseverance and bleak times of life. You are the most powerful when you are committing to rewarding pursuits, establishing your authority, having the respect of others, mastering your skills, showing patience in your progress, and showing compassion despite your melancholy. You are the least powerful when you are putting too much time in work without recreation, failing to connect to the wonders or mysteries of life, putting so much focus on status, doing anything just to get what you want, and being harsh with yourself when failing to meet your own standards. Aquarius is far-sighted and possesses humane values. You are the most powerful when you are continuously experimenting and following wherever your path leads you, daring to think great things, seeing the big picture and think for the entire group, opening yourself to breakthroughs that have the possibility of bringing you to the next level, being equally friendly, and not afraid of being different. You feel the least powerful when you are stuck in the thought of the matrix, showing defiance, and failing to create stability in life. Pisces symbolizes intense sensitivity and imagination. You are the most powerful when you are releasing old wounds, transforming into something new, taking advantage of your imagination, tuning into the dream world and other spirit realms, being grounded in your spirituality and honing your awareness and intuitiveness. You feel the least powerful when you are absorbing too many energies around, lacking the time to processing emotions and feeling overwhelmed, too focused on saving others forgetting yourself in the process, pleasing too much thereby losing your moral center, exposing yourself to overstimulation, and failing to access the subtle sense.